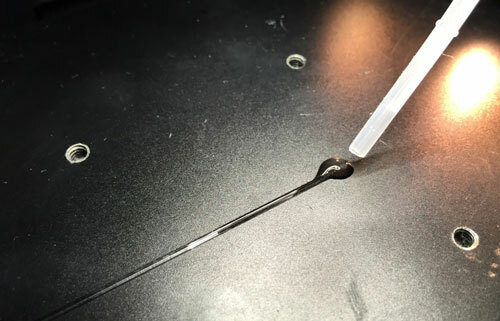 Scientists have introduced a two-step, one-pot conversion of CO2 and epoxides to polycarbonate block copolymers that contain both water-soluble and hydrophobic regions and can aggregate into nanoparticles or micelles. Researchers present a novel modulator that is a hundred times smaller and that can, therefore, be easily integrated into electronic circuits. Moreover, the new modulator is considerably cheaper and faster than common models, and it uses far less energy. A 'flat-pack' construction of a powerful new superconductor paves the way for wearable and miniature electronics. 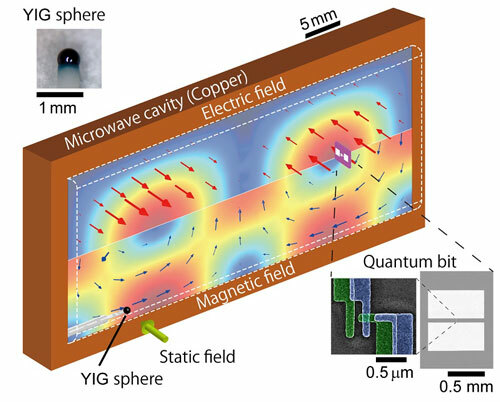 Researchers have demonstrated that it is possible to exchange a quantum bit, the minimum unit of information used by quantum computers, between a superconducting quantum-bit circuit and a quantum in a magnet called a magnon. 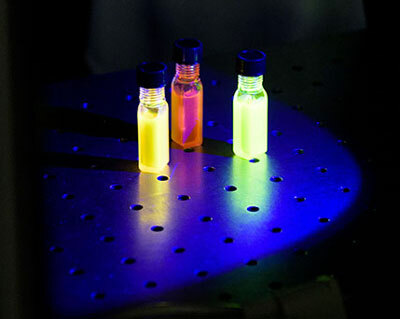 Researchers have developed a plasmonic device that, combined with semiconductor quantum dots, could one day be turned into an ultrafast light-emitting diode for optical computing. Nanoionics is a new area of research in which ionic currents are conducted on the scale of nanometers; and it may one day lead to innovative technologies. 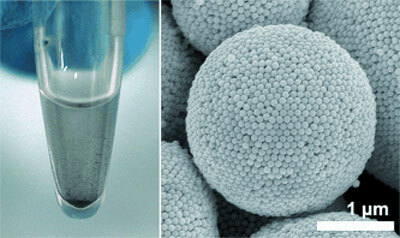 Scientists have now made an important step toward the construction of artificial ionic circuits. X-ray methods reveal interactions of active metals with gas molecules. 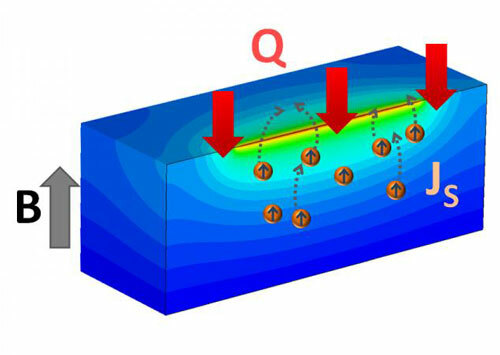 Researchers that you don't need a magnetic material to create spin current from insulators. This discovery has important implications for the field of spintronics and the development of high-speed, low-power electronics that use electron spin rather than charge to carry information. The new technique makes it possible to synthesize 3D DNA origami structures that are also able to tolerate the low salt concentrations inside the body, which opens the way for completely new biological applications of DNA nanotechnology. The design process is also highly automated, which enables the creation of synthetic DNA nanostructures of remarkable complexity. Researchers recently discovered that paper made of cellulose fibers is tougher and stronger the smaller the fibers get. 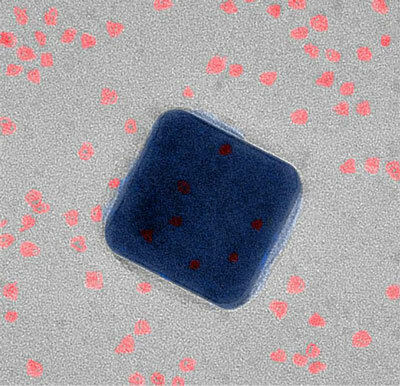 Colloidosomes made of gold nanoparticles offer strong plasmonic coupling. A recently published study gives a vivid example of unusual chemical reactivity found in the reactions with organogold complexes. 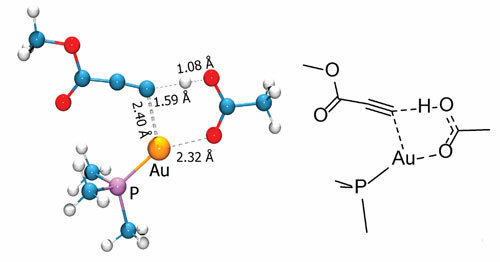 Using the complex of modern physical methods joined with computational studies, the authors proposed reaction mechanism, where a molecule of acetic acid serves as a proton shuttle, transferring the hydrogen atom between the reaction centers. 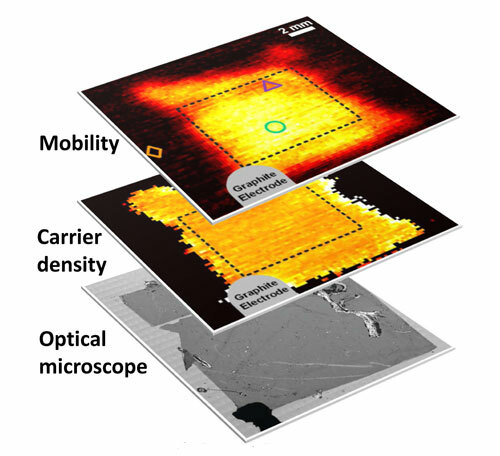 Researchers have shown that both the carrier mobility and the carrier density of graphene can be measured in a spatially resolved and non-destructive way - providing 'maps' of the electronic properties critical for the successful use of graphene in photovoltaics, electronics, spintronics and optics - using terahertz radiation and doing away with the need to fabricate devices. 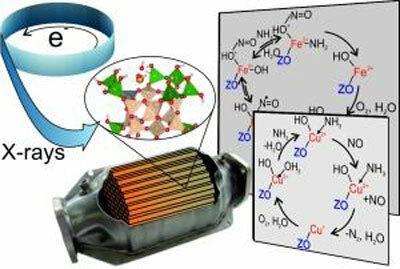 Research could lead to improved efficiency of solar cells, cancer treatments and medical imaging. Keynote presentations on the third day of Graphene Week 2015 offered an eclectic mix of fundamental science and practical chemical engineering. Here we report briefly on each of the talks, beginning with an introduction to optoelectronics in 2D semiconductors and heterostructures, and concluding with an outline of a highly promising 'kitchen sink' approach to graphene production.